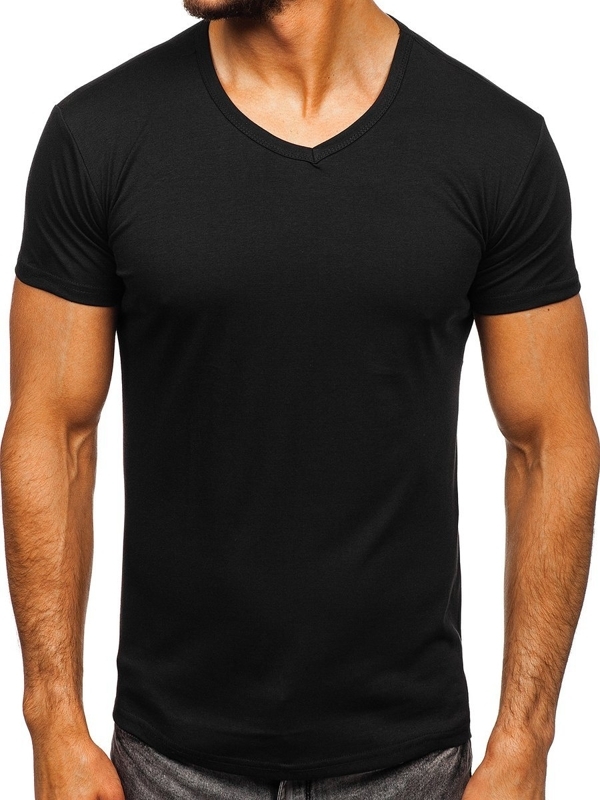 T-shirt is an indispensable element of men's styling. 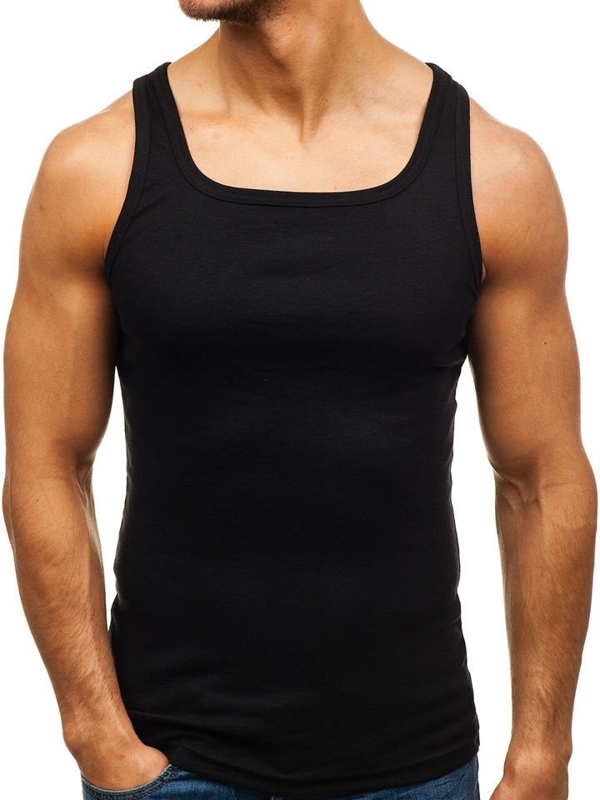 This timeless piece of clothing fits to various fashion styles and outfits. 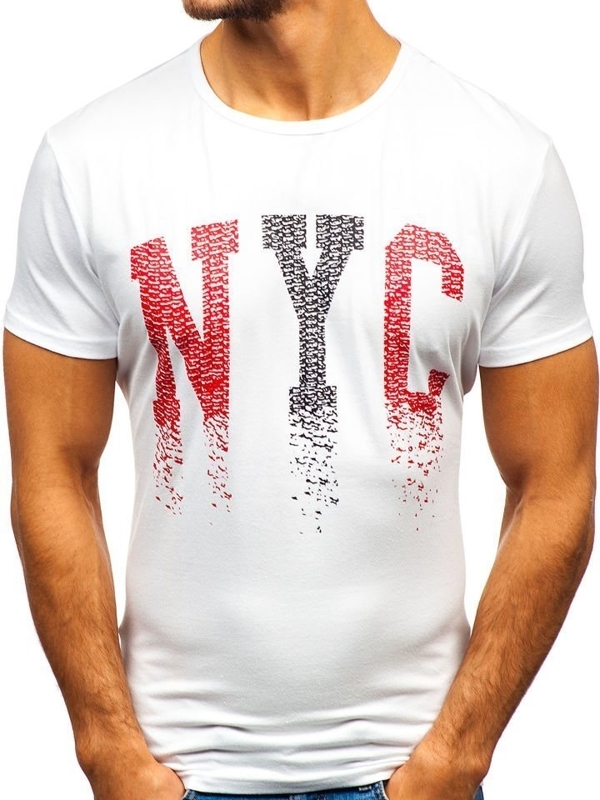 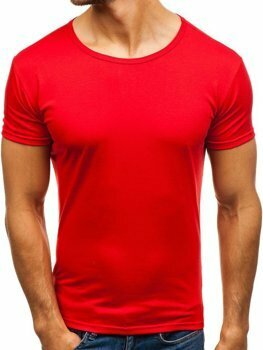 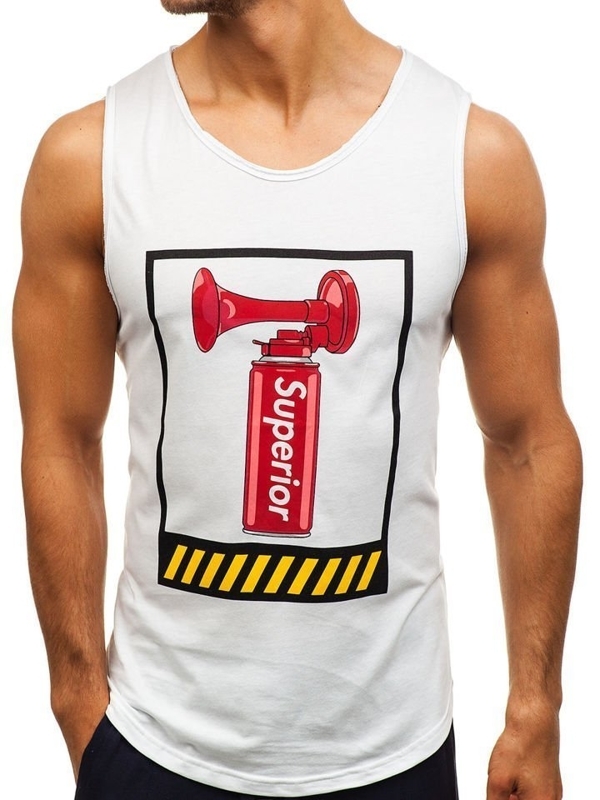 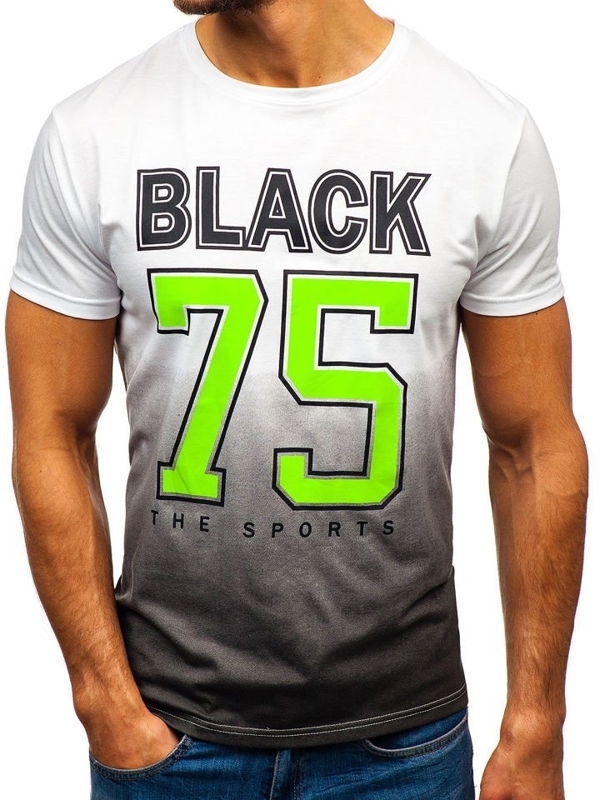 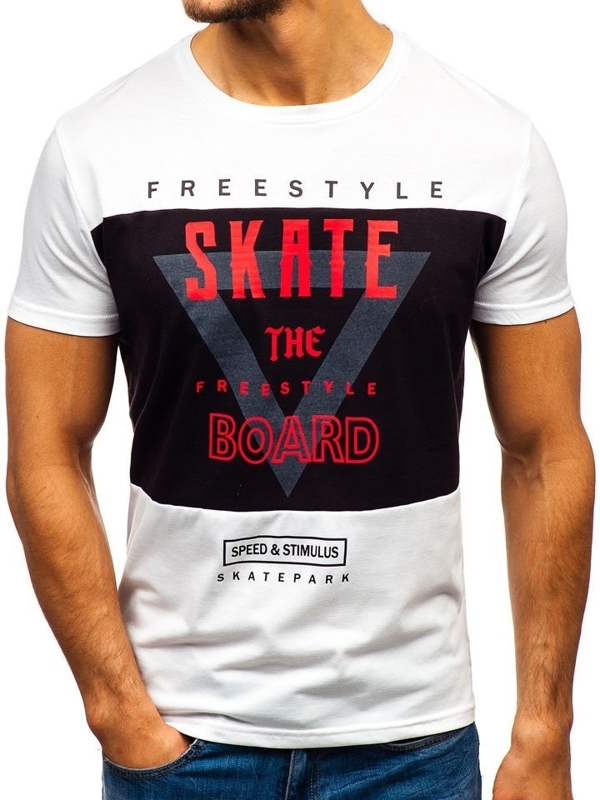 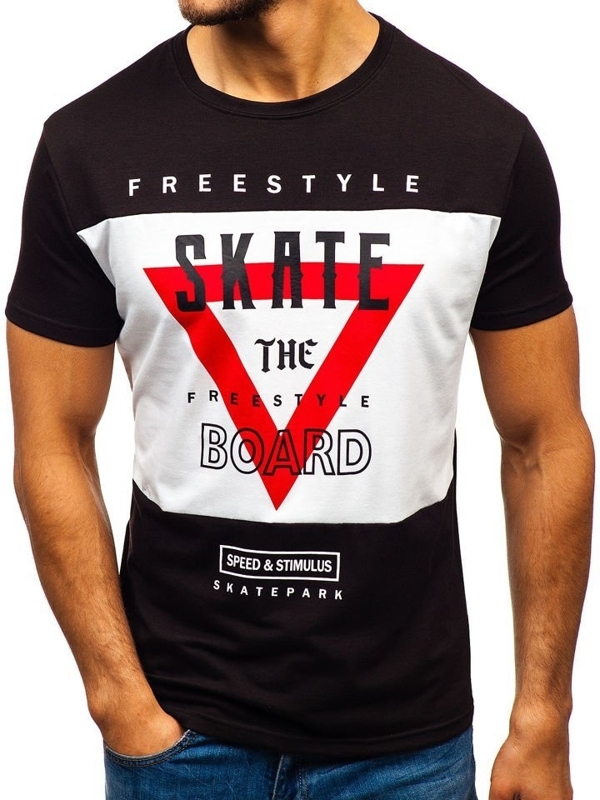 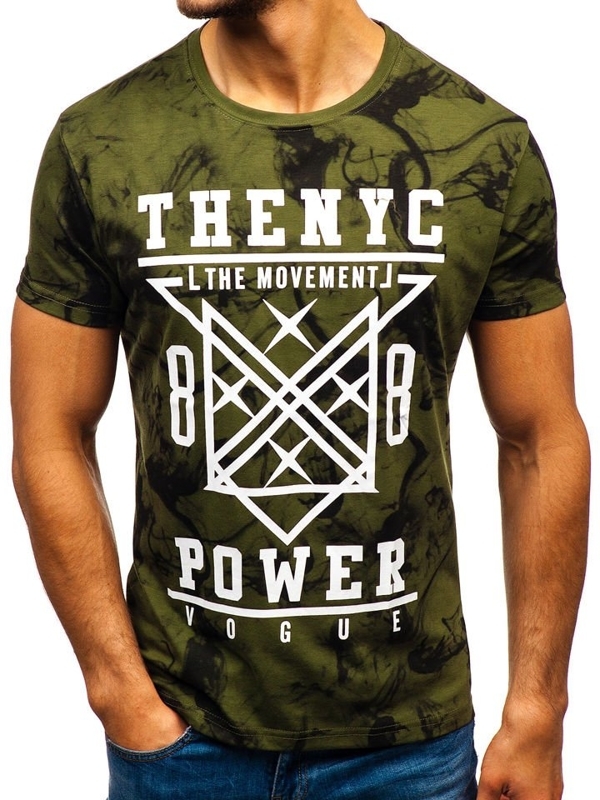 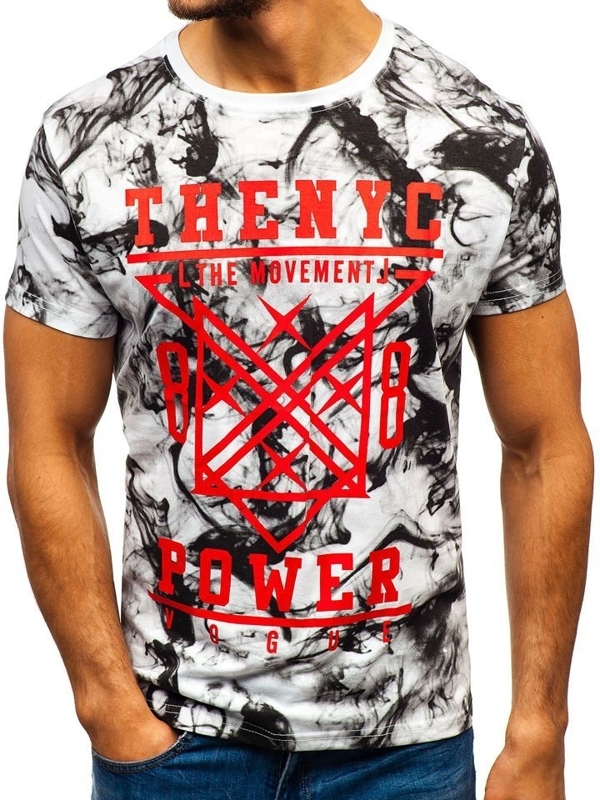 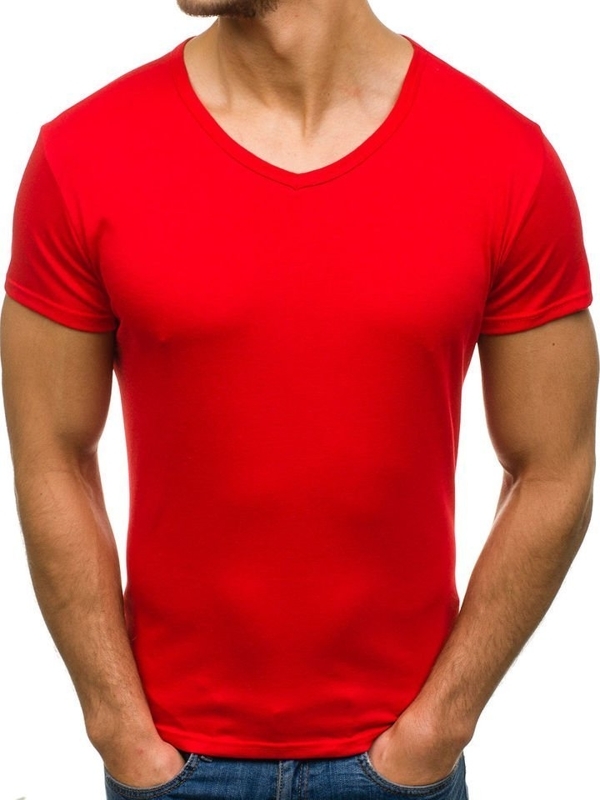 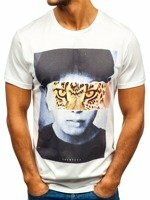 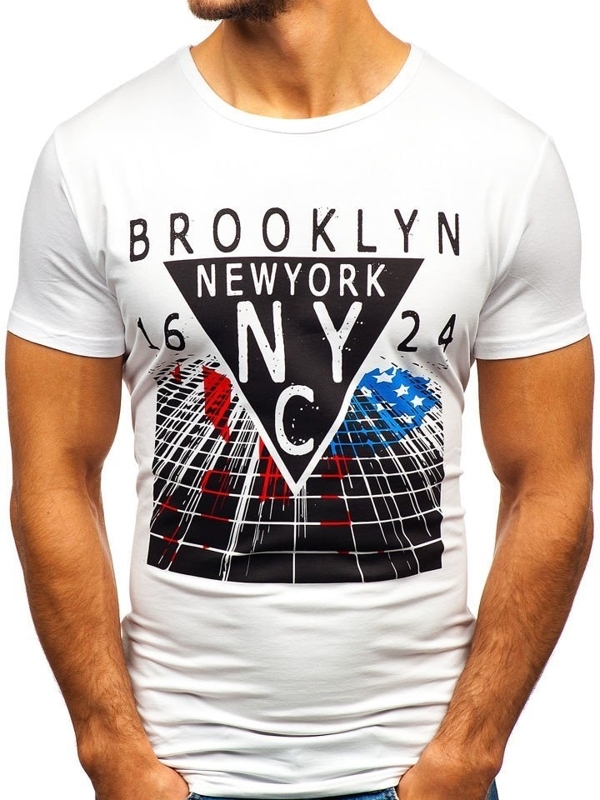 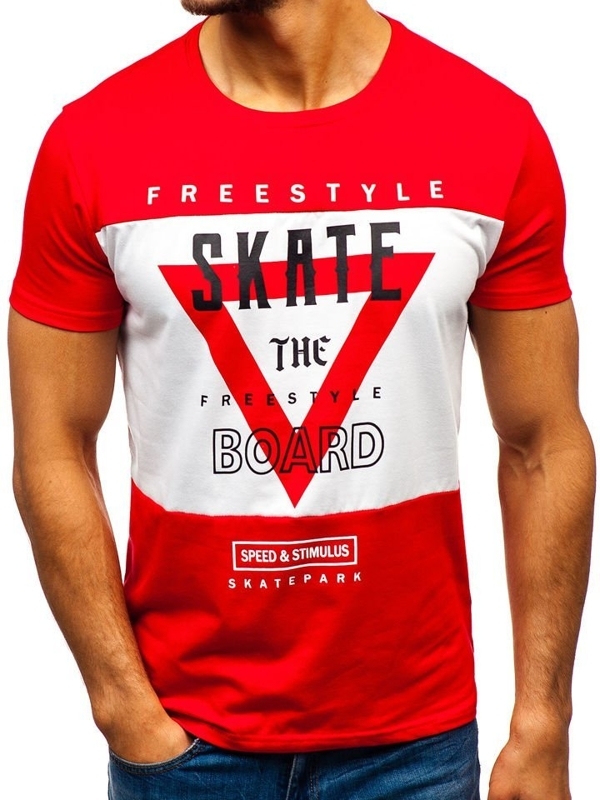 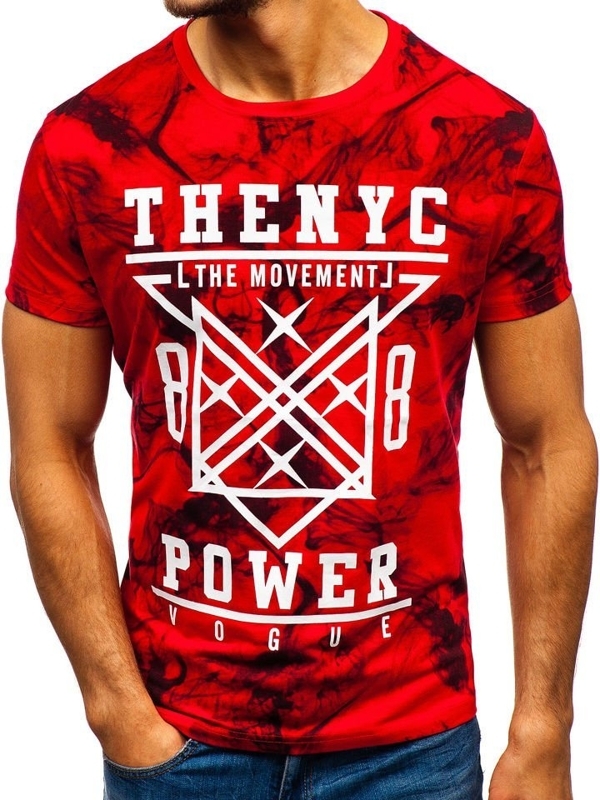 Men's T-shirt has a 'V' neckline that visually slenders the neck and sharpens the facial lines. 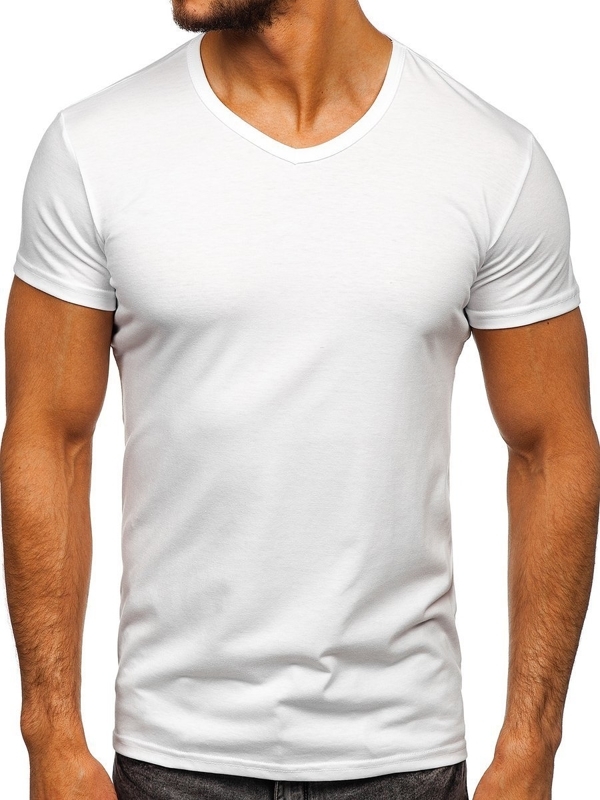 It's no surprise that T-shirts of that type are so popular among the men. 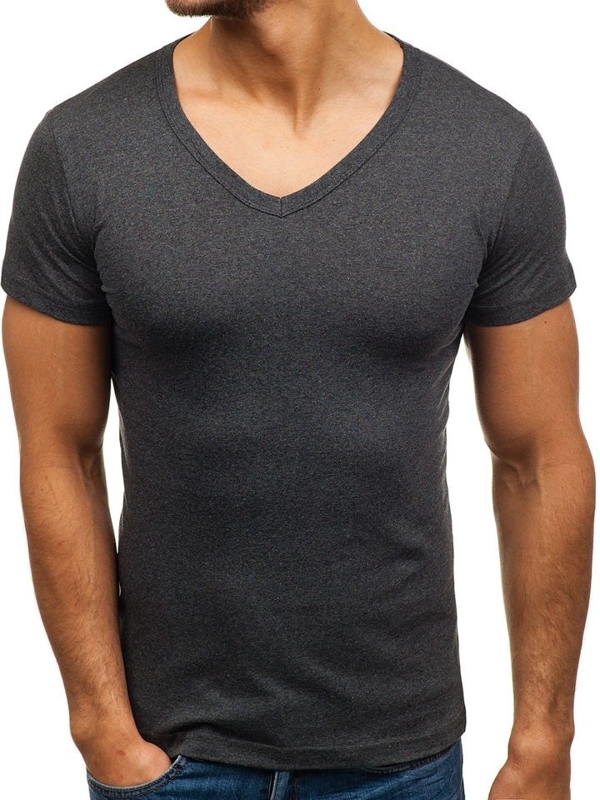 The popularity of this cut increased at the time that the heatlhy lifestyle became trendy. 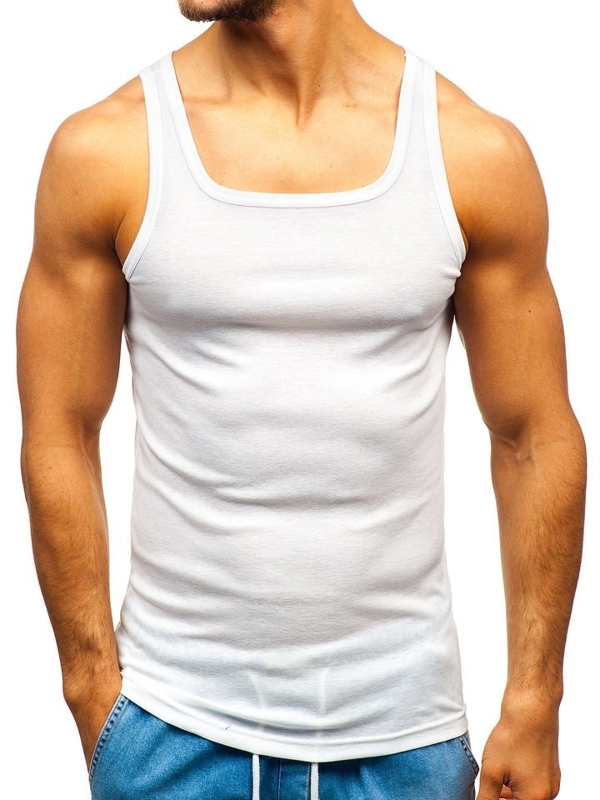 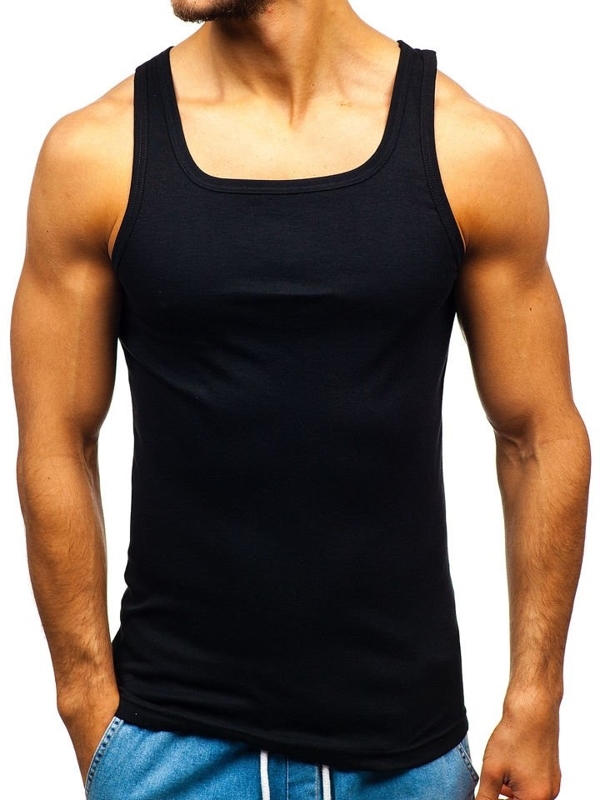 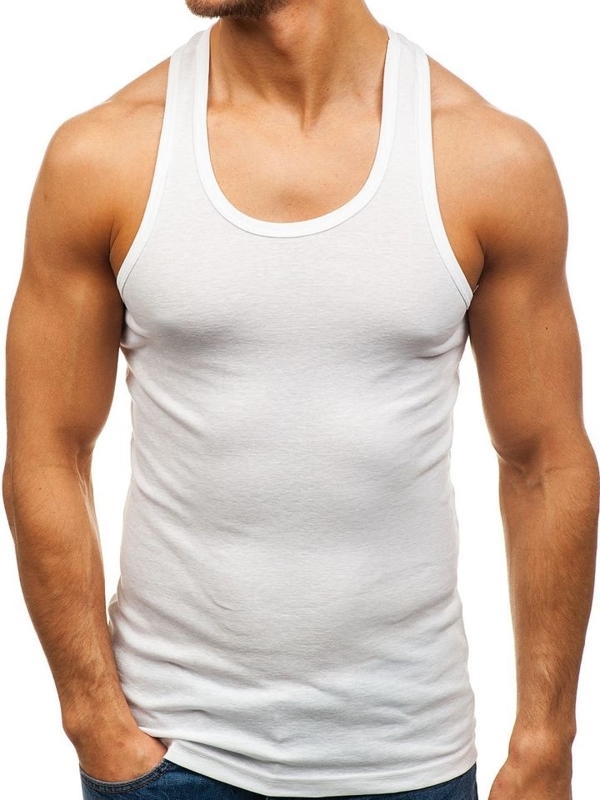 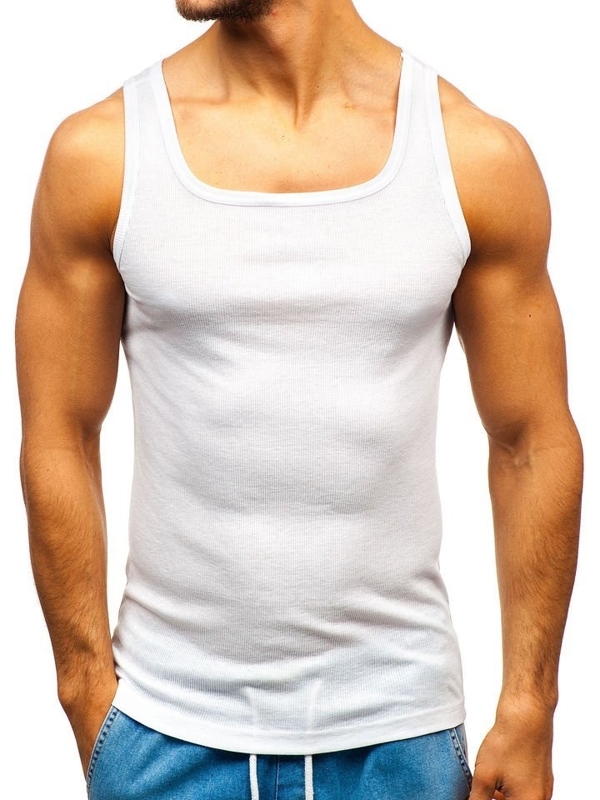 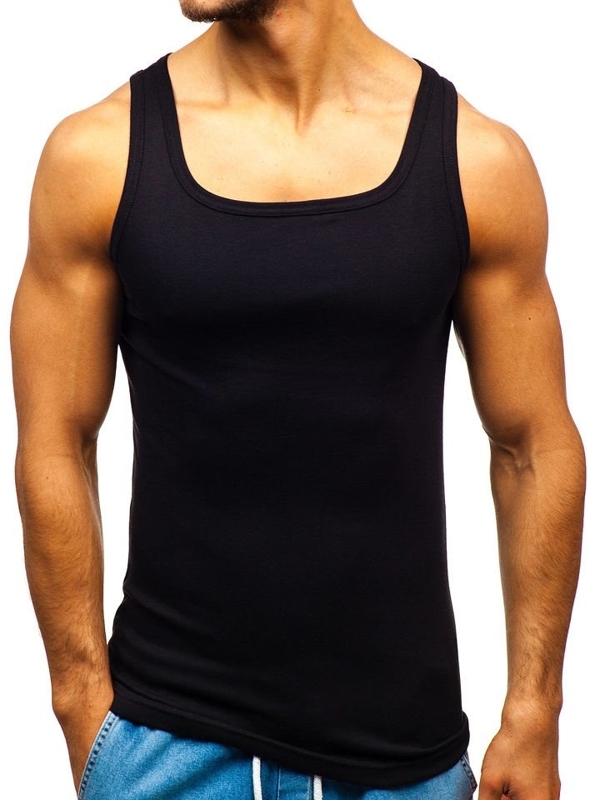 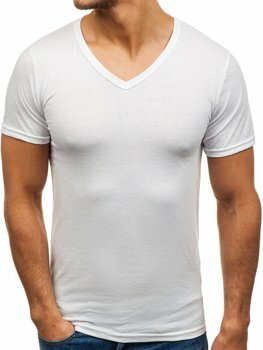 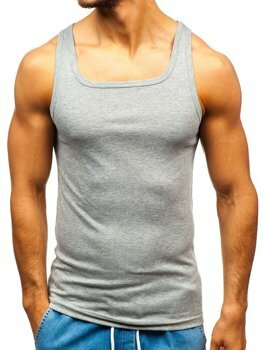 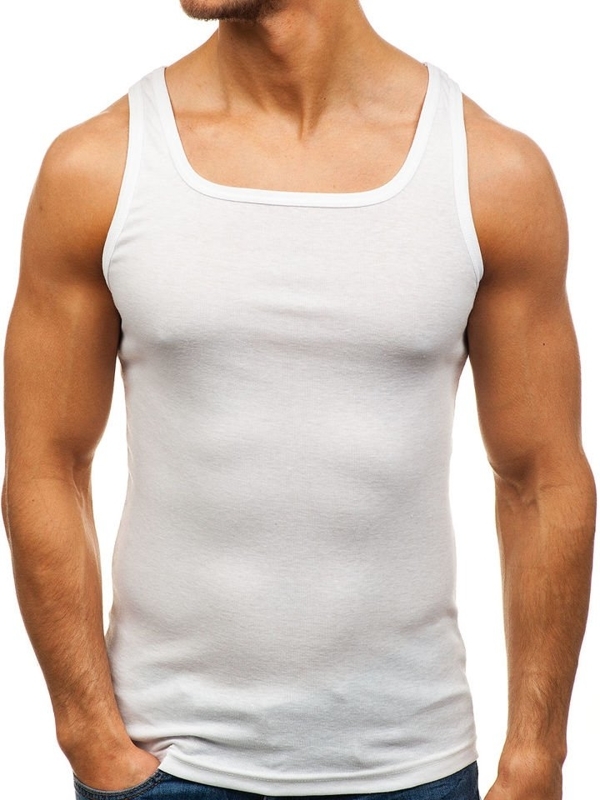 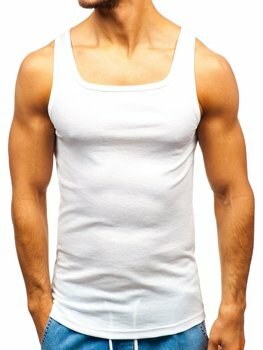 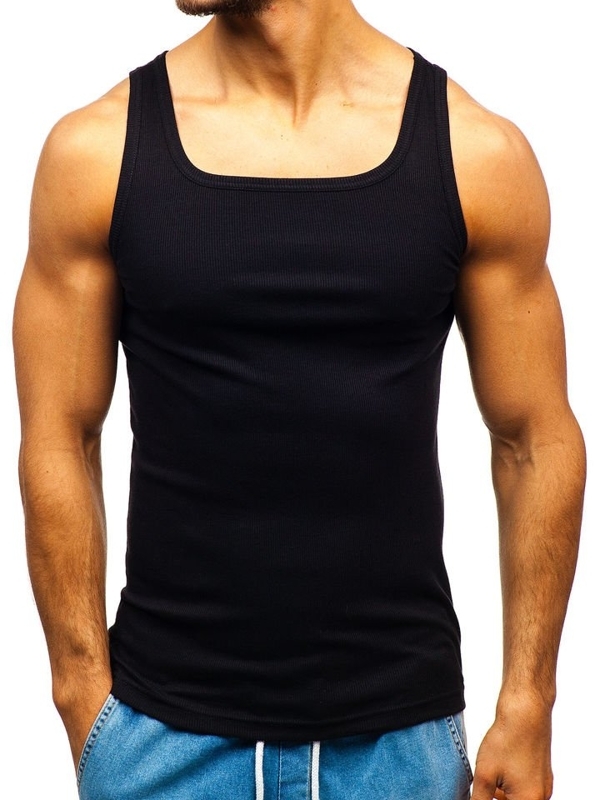 In the beginning, V-neck T-shirts became the favourites of the people who practise sports. 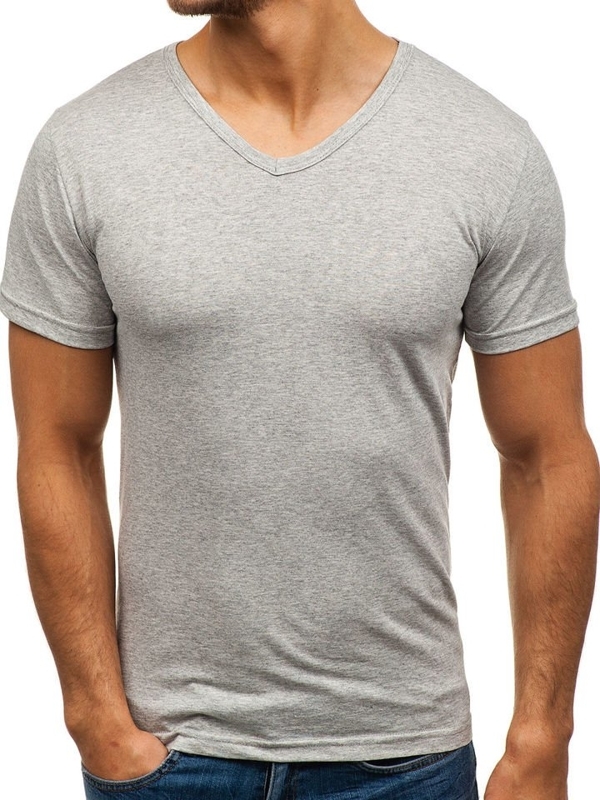 Later on, this cut spread so much that gained popularity among men of all ages who share the passion for fashion. 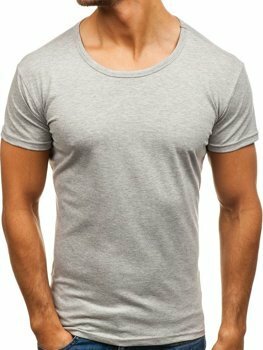 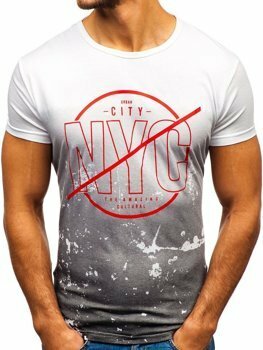 V-neck T-shirts from our offer are comfortable and versatile – you can easily match them with various trousers, sweatshirts, suit jackets or jackets. 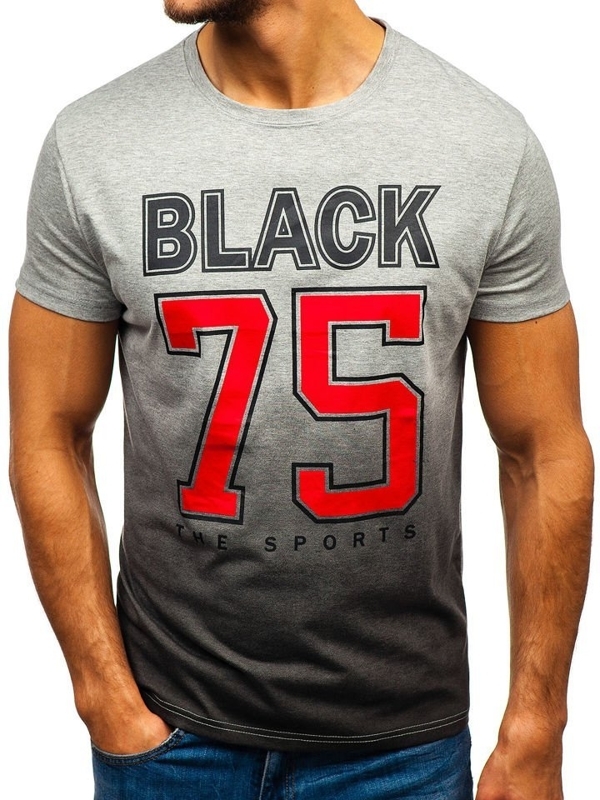 They are the perfect element of casual outfits that give you the chance of freedom of chosing colours, details and accessories. 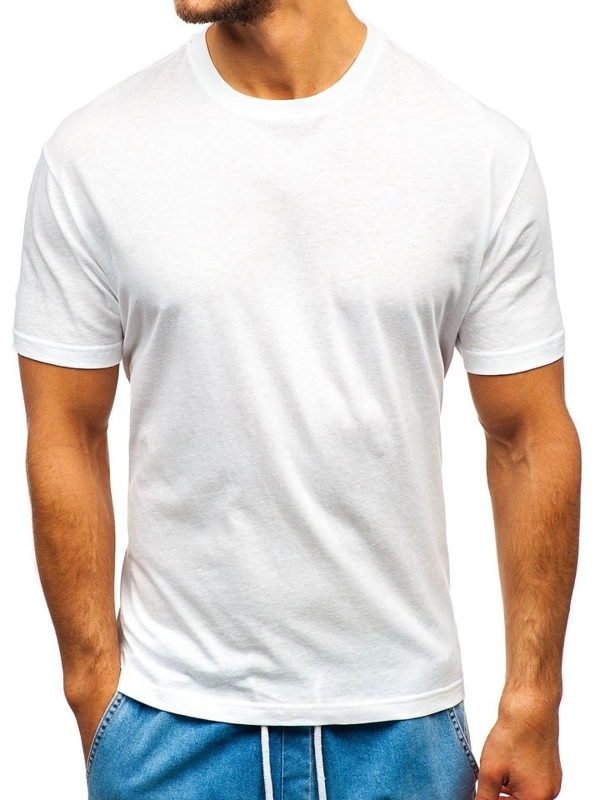 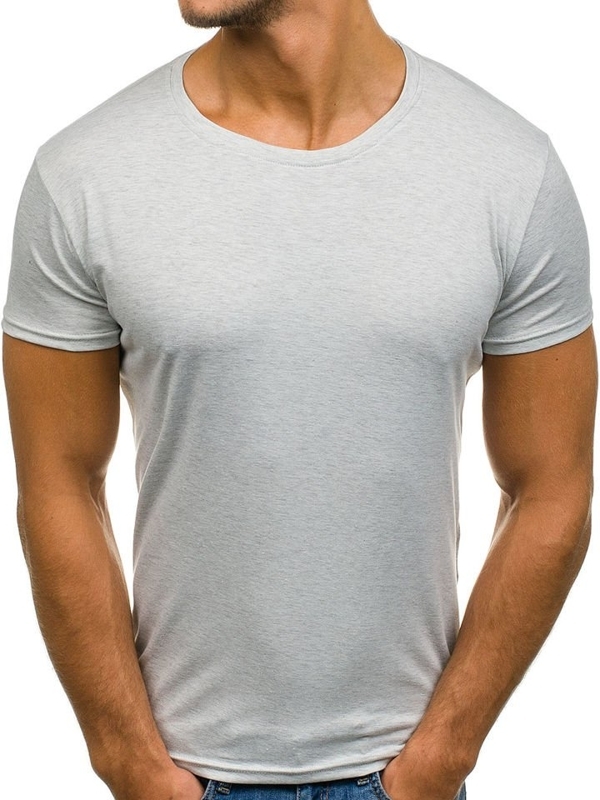 The white V-neck T-shirt should be a 'must have' in men's wardrobe due to the fact that is a great fashion starter which can be matched with other and colourful clothing. 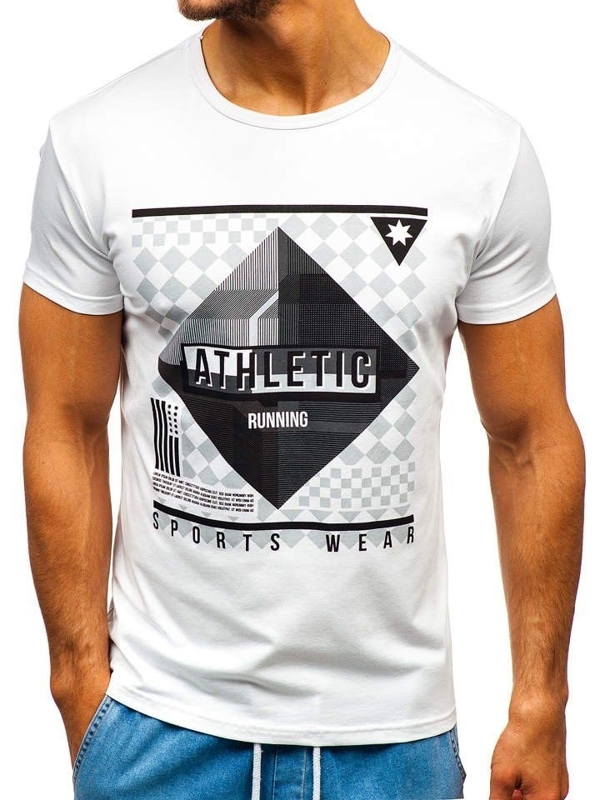 To give to the outfit a bit more elegant character we recommend to match a sporty T-shirt with a suit jacket. 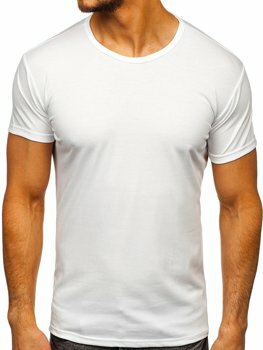 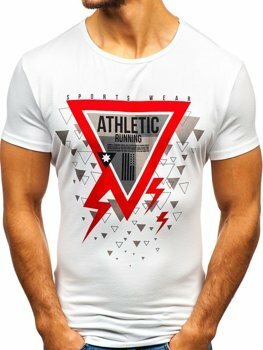 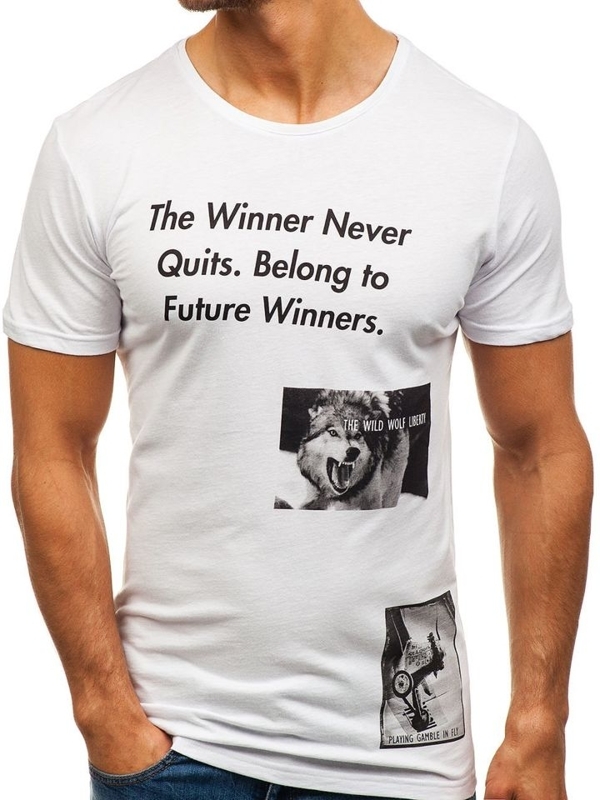 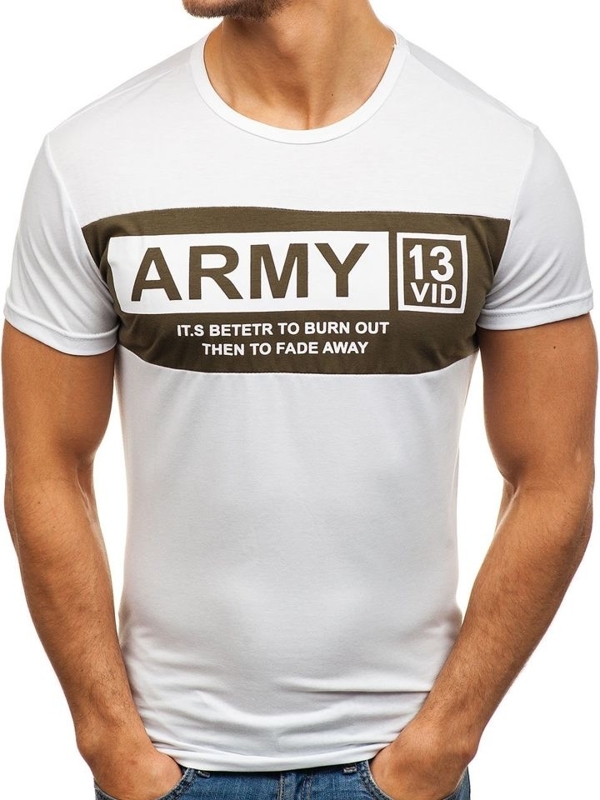 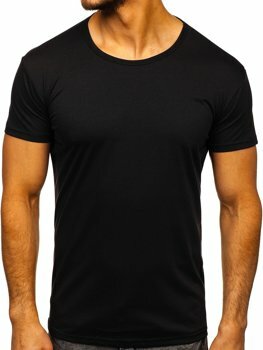 In Bolf offer you can find plain, printed and uniquely decorated T-shirts. 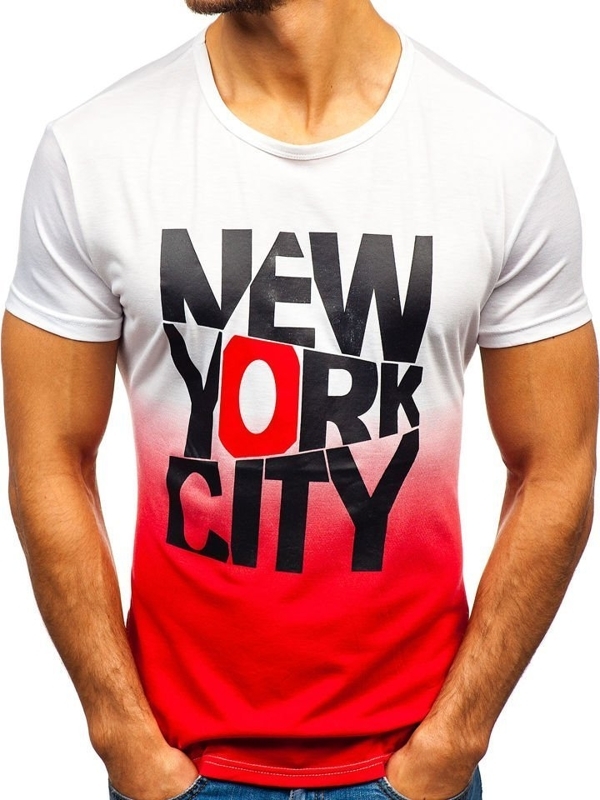 Due to wide colour and pattern choice, the assortment of our shop lets you step out from the crowd. 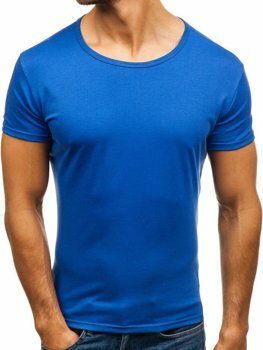 We offer T-shirts made of high-quality cotton and synthetic fabrics thanks to which they pull moisture away very well, get dry quickly and are easy to iron. 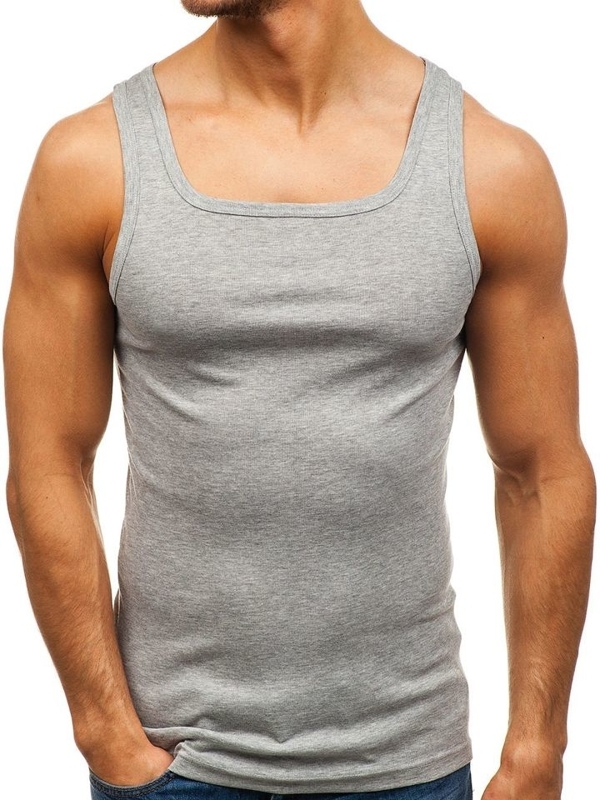 Before buying a particular model we kindly ask you to get familiar with table of sizes of particular clothing manufacturer. 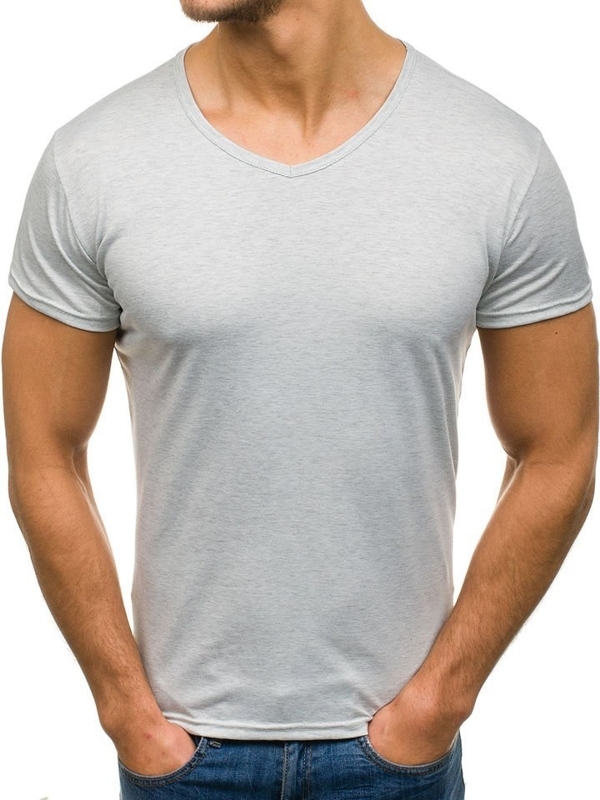 Men's T-shirts will present appropriately well if they won't be too tight or too loose. 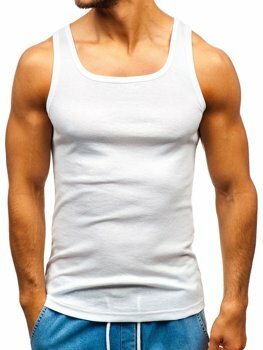 We guarantee professional customer service and satisfaction from our products.